It’s the first week in February and Cologne is in a buzz. In the workplace, meetings are rescheduled to create available time for the next few days, behaviour seem to develop a ‘dodging the responsibility’ flavour, and funnily dressed people start to appear on the streets. 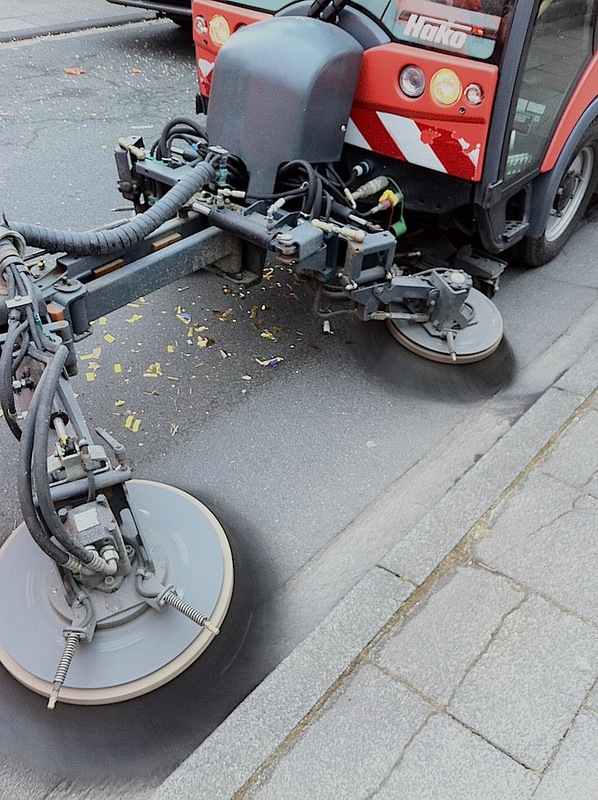 Even the rubbish removal schedule is changed. Something odd is going on, but to be more accurate, it has been going on since 11 November, its now simply climaxing. 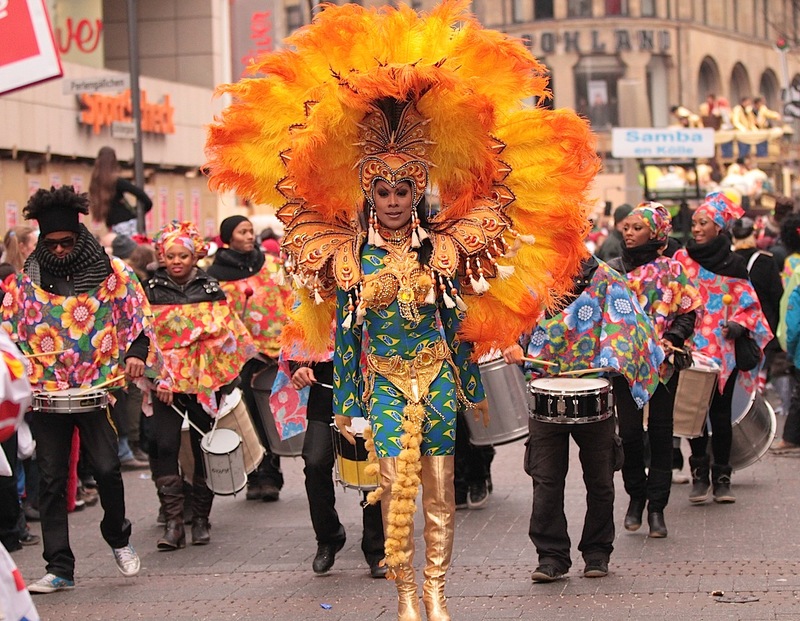 The ‘fifth season of the year’ begins on 11 November at 11:11 when carnival is officially declared open which indicates the start of the festivities. 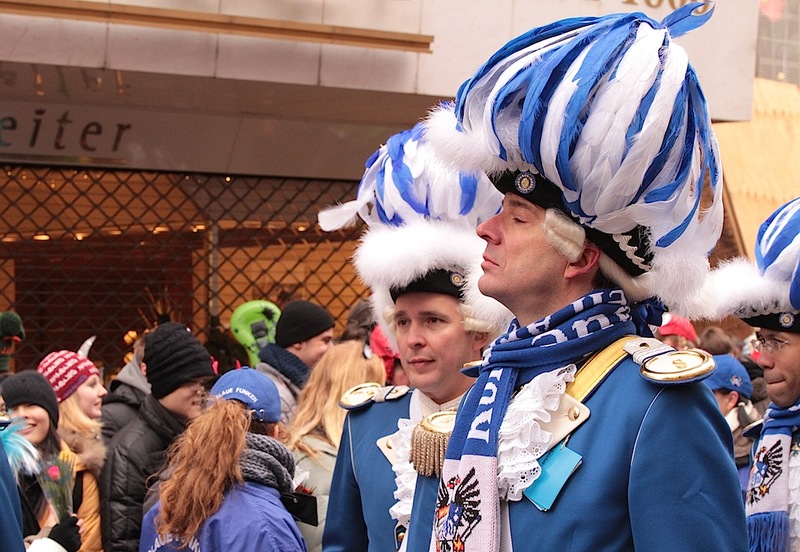 It’s a nearly three-month period; of which the tempo is fairly low key until ‘Weiberfastnach’ (Shrove Thursday), the Thursday before ‘Rosenmontag’ and when the highlight of the crazy time in the Cologne Carnival kicks off in earnest. As far as I could determine, the larger Cologne area is the German ‘Mekka’ (Iz it againzt ze rules for me to use that reference in this context?) 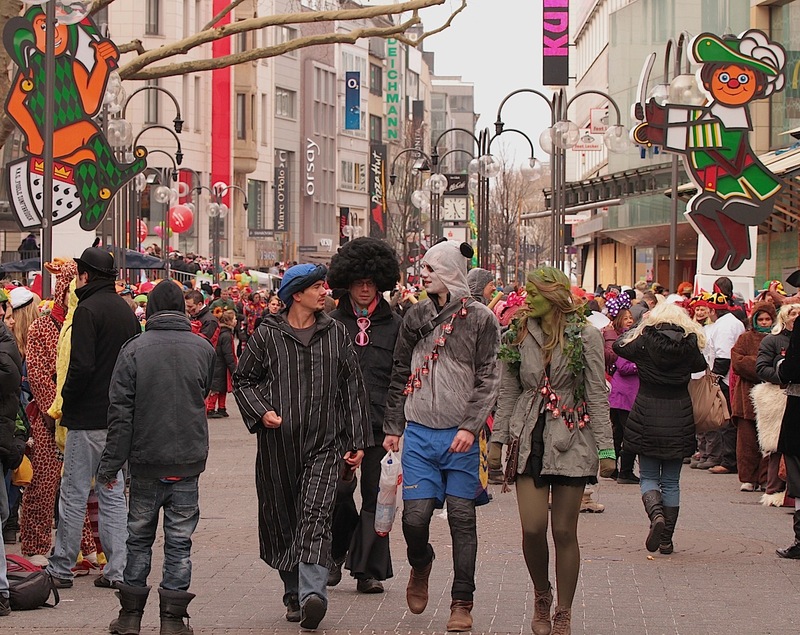 of German carnival celebrations and has become a major tourist attraction too. There are contrasting views on the origin of the word ‘carnival’, but for the sake of my narrative I like the one where it is believed that the word ‘carnival’ comes from ‘carne vale’, which means ‘farewell to meat’ and which leads into the Lent and the 40 days of Jesus’ fasting in the desert. 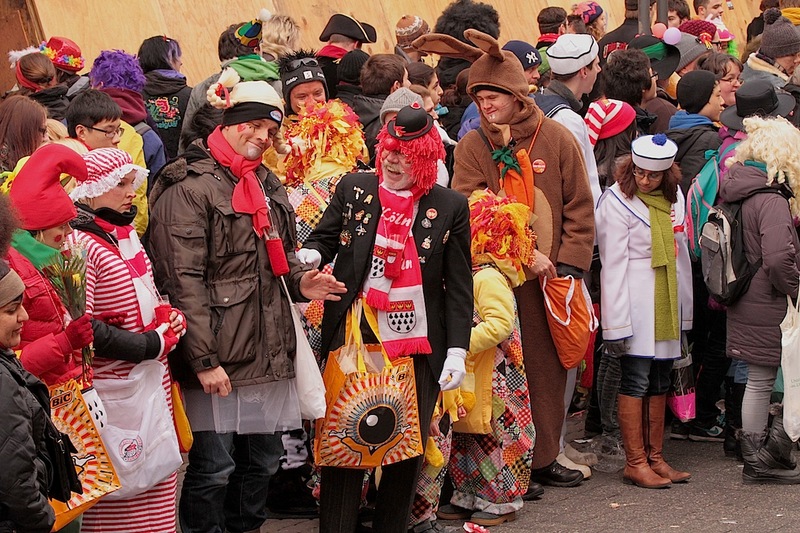 The Cologne carnival is almost as old as the city itself. The Romans and Greeks celebrated cheerful spring festivals in honour of Dionysus and Saturn with wine, women and song. The ancient Germans celebrated the winter solstice as homage to their gods and the expulsion of the evil winter. Later, the Christians adopted into the heathen customs. 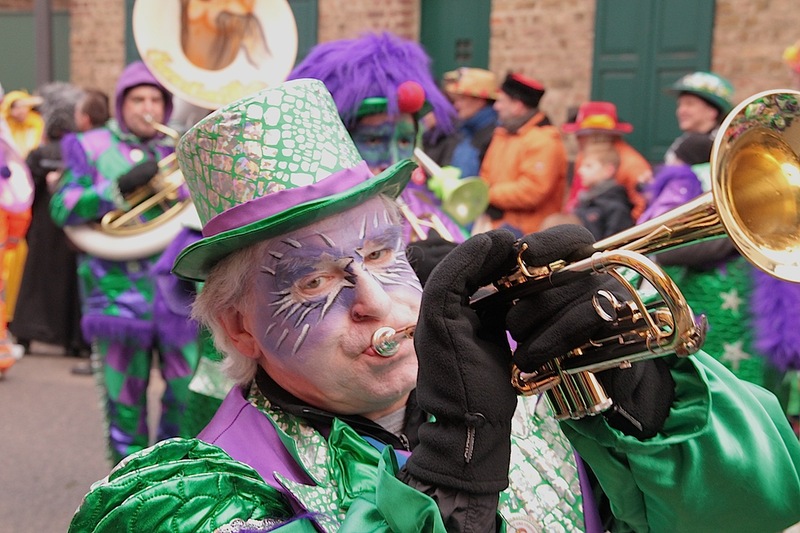 It is traditionally held in areas with strong Catholic and Orthodox roots, while Protestant communities do not have a carnival celebration per se. Medievel Italy is probably the real original carnival with specifically the masked parades in Venice being well known. From Italy the celebrations spread first to the predominantly Catholic nations of Spain, Portugal and France, who in their turn took the custom across the world to their colonies. 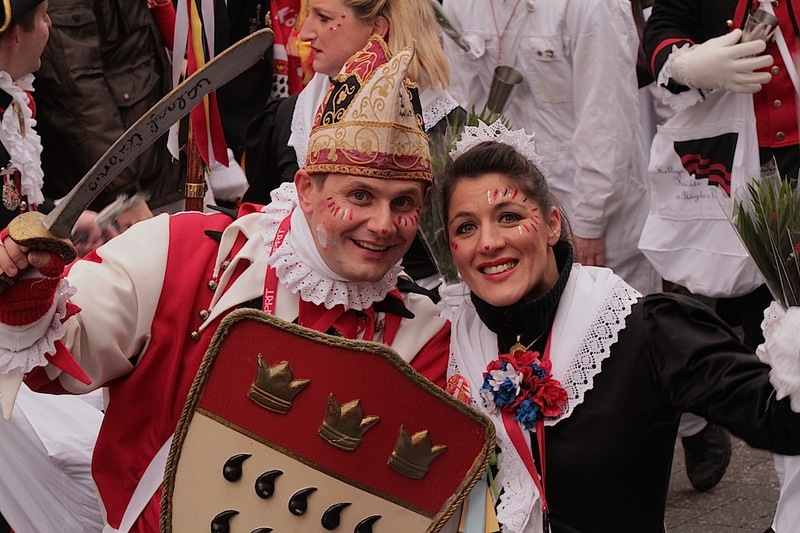 From France, it was introduced to the Rhineland area of Germany, where, in 1823 the first worldwide carnival took place in Cologne. 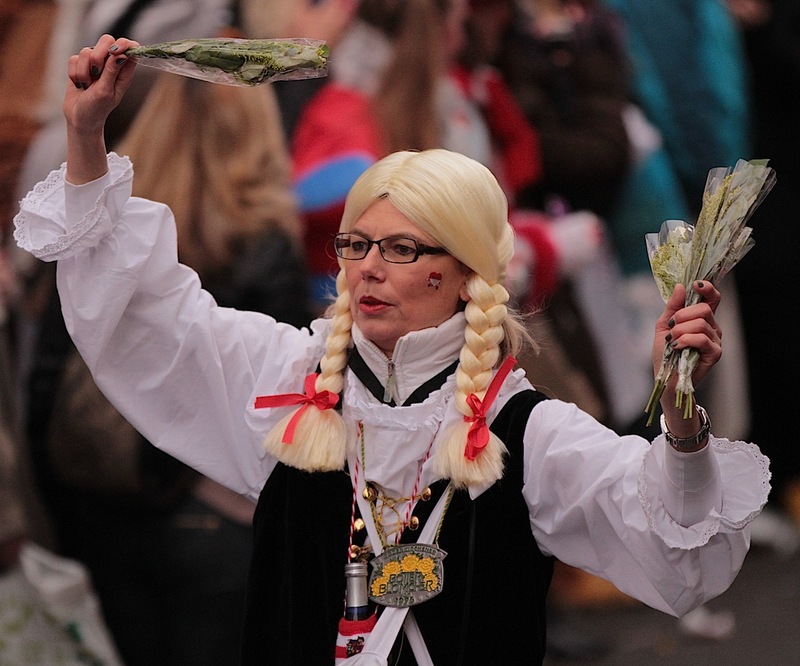 Thus, this first week in February has been a huge babelaas (babelaas is afrikaans for hangover) for Köln for 190 years. I wonder if I’m up for the challenge to witness the celebrations in ten years time? But now, it’s the first week in February 2013 and Cologne is in a buzz. The Germans, more specifically, I presume the Kölsch and all visitors to Köln during this week however don’t care and don’t think about the origins, I can assure you. To them it’s about the costumes, the beer, the bratwurst and the song and dance, which accompanies all parties of this public nature. My limited experience of street parades, public fancy dress, floats and street chaos is the so much a smaller scale varsity rag (jool in Afrikaans) and which is done for a complete different reason. By the way, a little useless trivia, the Afrikaans term ‘jool’ is the acronym for ‘jou onbaatsigtige opoffering vir liefdadigheid’, which means its primary objective, is to collect funds for welfare. But in Cologne it’s huge and certainly not limited to students. Old people, young people, family people and single people all dress up, whether its just a funny hat, a full lion suit or the full-monty aristocrat costume, you are aware that its carnival where-ever you go. And these costumes are not only worn on Rosenmontag, but for the entire crazy period, from Thursday through to Rosenmontag. Rosenmontag then, arrives with many a hangover still well embedded while the fancy dress for the new day is carefully decorated to the body. This is the big official day with the floats and parade the main attraction. The route of the parade is a full 6.5km through the main downtown parts of Cologne, while the length of the parade itself is nearly 6km long. 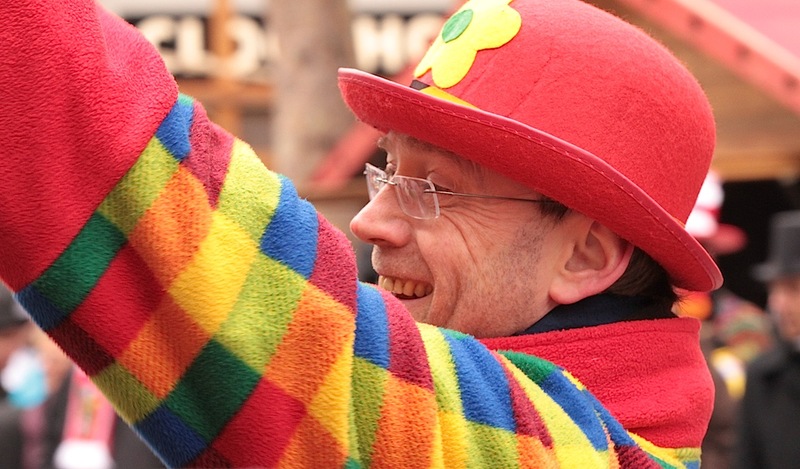 Spectators line the entire route for the duration of the parade, which can last up to 4 hours to proceed past a specific spot to gaze with awe at the sights and sounds around and in font of them and of course, to collect sweets. 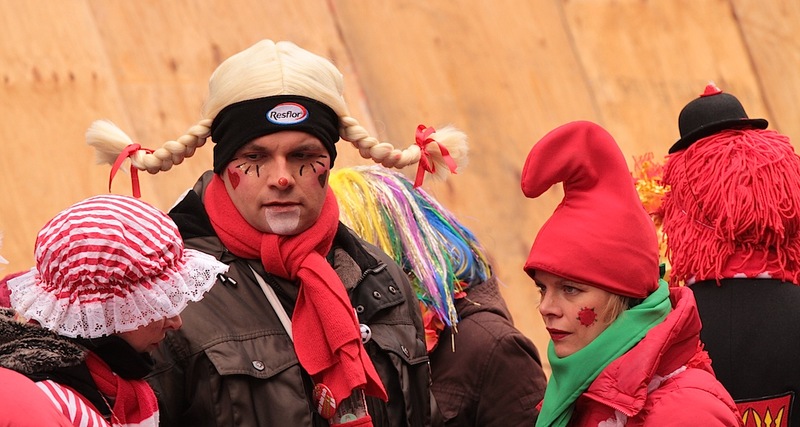 ‘Kamelle, kamelle’ are the cries from begging spectators with the occasional ‘Kölle Alaaf‘ (Cologne, above all) chant to draw the attention to you, because hands full; no buckets full of sweets are thrown into the crowds. Understand me well, its not that every parade participant has a few hands full of sweets to hand out, there are actually motor vans full of sweets in the parade from where bags are continuously distributed to the participants to throw to, and some-times at, the crowds. We arrived home with more than a large shopping bag of sweets. And then, because its February and still so very cold outside, as soon as the parade passes, you head for the bus to get back home and out of the cold. 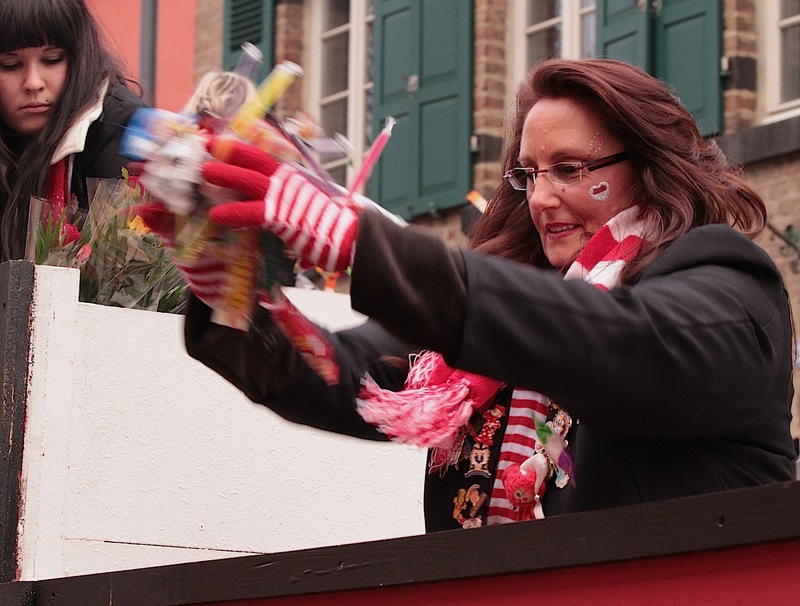 But there in our own little town of Rondorf we stumble upon the local parade just getting ready to start. 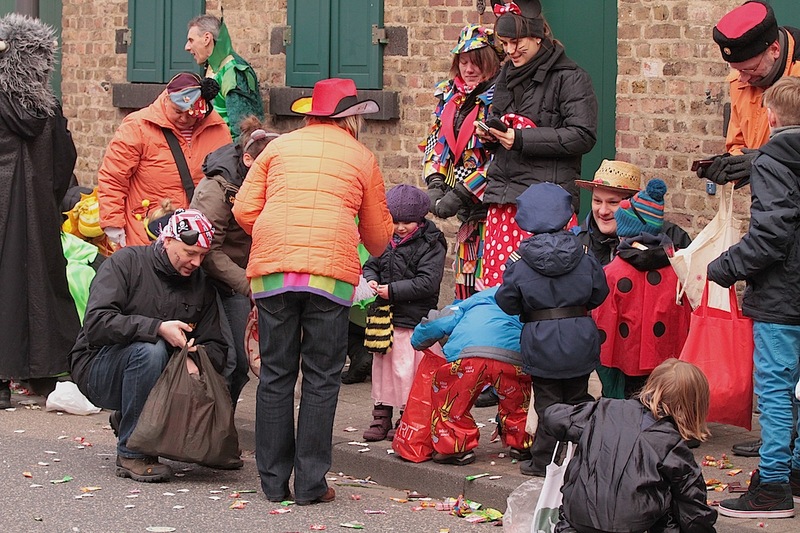 Its much smaller, its much more localized, with the local farmer, baker, and church music group etcetera parading their stuff and with much more families with small children lining Hauptstraßse enthusiastically chanting their ‘kamelle, kamelle’ pleas. 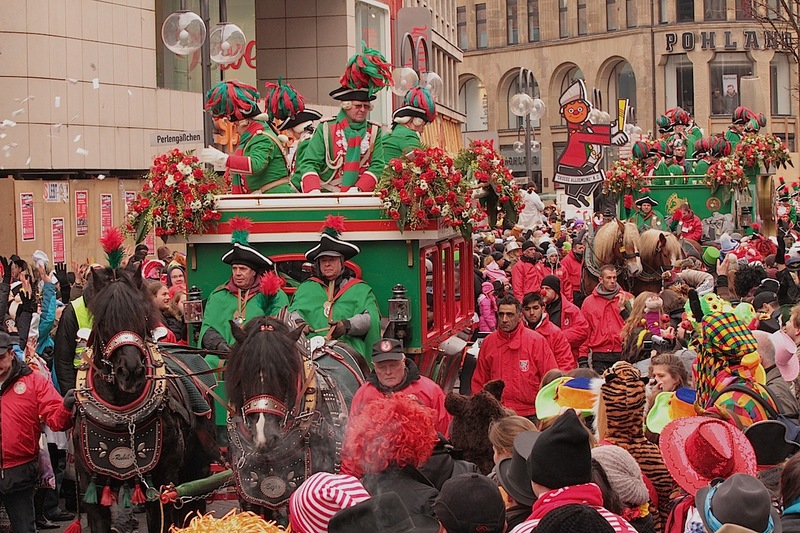 It seems most of the smaller towns in the Cologne area have their own parades late afternoon. 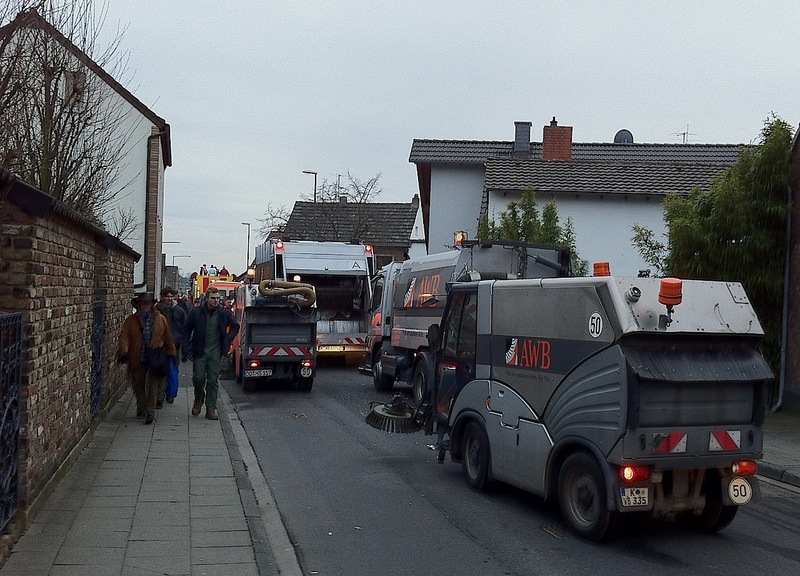 Fittingly to German efficiency, the last float procession is the AWB (it’s the cleaning contractors in Cologne, not the right wingers from SA) with their equipment, cleaning the streets as the procession passes, leaving hardly any traces of the chaos and fun that was had just half an hour previously. Except for this evening’s party somewhere with friends or in a bar, the crazy days are over for another year, and babelaas permitting, tomorrow will be a normal productive day again. And thoughts will probably already wonder towards the planning of next year’s costume to wear.